Situated on the east coast of the North Island of New Zealand lies the Bay of Plenty, stretching from Waihi Beach in the north to Cape Runaway in the south-east. The region was named the "Bay of Plenty" in 1769 by the early English explorer, Captain James Cook, who observed how fertile and productive the land was. 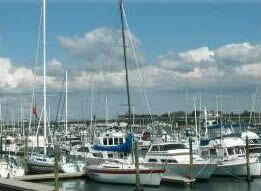 Its major provincial centre is Tauranga, a vibrant and rapidly growing city with a population of 120,000. Tauranga enjoys all the usual amenities of a large city, but boasts many additional features to be envied – a surf beach at Mount Maunganui and Papamoa which compares with any to be found in the world, a beautiful, sheltered harbour, New Zealand's largest export port with a cargo throughput of eight million tones in 1998, a temperate climate with an average of 2400 sunshine hours per annum, and bush walks in the beautiful Kaimai Ranges. The city is conveniently located to other major cities - just 2 hours to Auckland, 45 minutes to the lake district of Rotorua, 2 hours to Taupo, less than three to the ski fields of Mount Ruapehu in the centre of the Island, 1-2 hours to the beaches and holiday parks of the Coromandel Peninsular. 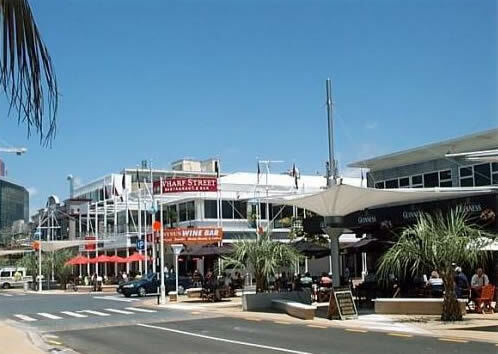 Over the summer period Tauranga's population increases by more than 60,000 people with holidaymakers flocking to the region from all over New Zealand. Every imaginable recreational activity is on offer to both residents and visitors alike – golfing, surfing, fishing, sailing, tramping, trout fishing, white water rafting, sky diving, gliding, water skiing, swimming with dolphins, deep sea game fishing, and much more! Restaurants and cafes abound, as do shops and shopping malls. The soils and climate of Tauranga lend themselves to the growing of all kinds of native and exotic plantlife, and the region is particularly known for its kiwifruit and avocado orchards. A more recent development has been the growth of olive plantations. Floriculture is a common commercial activity in the Bay of Plenty with calla lilies, sandersonias, an array of foliage plants, and hydrangeas dominating the export market. Lavender grows particularly well in the region and is harvested commercially primarily for its oil. Palm trees and other tropical plant nurseries provide an enthusiastic local and national market with landscaping product. In addition Tauranga boasts two major New Zealand wineries – Mills Reef in Bethlehem, and Morton Estate in Katitkati. Both are popular venues for wine tasting and dining. The city is well endowed with excellent schools including Bethlehem College, a private college set on a park-like campus and providing quality education for pre-schoolers through to tertiary students. The Bethlehem Training Institute, which is part of the College, provides training for teachers and other associated professionals. Property values in Tauranga continue to rise as demand struggles to keep pace with supply. Countless new subdivisions are presently being developed as the city encroaches further into the hinterland. Tauranga is a great place to live, a city that caters for all ages and interests, and a prudent place for the property investor to invest in.